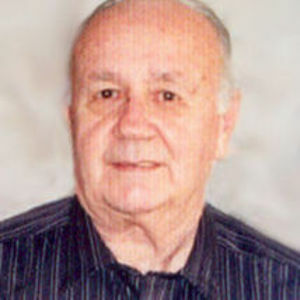 Joseph A. Cicco, Jr., 73, husband of Joan (MacLeod) Cicco of South Windsor, died Friday (April 16, 2010) at 9:55 p.m. at Hartford Hospital. Joan subsequently died exactly 12 hours later on Saturday (April 17, 2010) at Hartford Hospital. Born in Boston, MA on September 20, 1936, son of the late, Joseph A. Cicco, Sr., and Evelyn (Daniels) Cicco he had lived in South Windsor for the past 50 years. Joe served in the U.S. Army Air Corps. He was the owner of the Howard Johnson Restaurant Hotel, formerly of East Hartford, an owner of the 7-Eleven in Windsor Locks and was employed by the Town of South Windsor, before retiring. He was an active member of St. Francis of Assisi Church, South Windsor, he was a member of the Knights of Columbus of East Hartford. He and his wife, Joan were to celebrated their the 50th anniversary by renewing their wedding vows, next Sunday at their church. Dad enjoyed all Boston Sports, Notre Dame Sports and UConn teams. He spent many hours on his yard and received much praise for his hard work. He also enjoyed listening to music and sporting events on the radio and reading. He was a loving father and grandfather. He leaves his children, Joseph A. Cicco, III and his wife, Bonnie of Wethersfield, Judy Cicco, Jill Carducci and her husband, Donato and Jennifer Dickison and her husband, Gary all of South Windsor; a brother, Donald Cicco and his wife, Jeannie of Weymouth, MA; two sisters, Muriel Holmes of Hebron, Evelyn Seavy of Norwell, MA and Beverly Skilling and her husband, Bob of Hingham, MA; five grandchildren, Alicia Cary of South Windsor, Anthony Tony and Christopher Cicco of Wethersfield and Chesley and Danny Carducci of South Windsor; a brother-in-law, Dan Cyr and many nieces and nephews. He was predeceased by his children, John, Jeffrey, Janice and Kerri Cicco and Jacqueline M. (Cicco) Cary and a sister, Pamela Cyr.